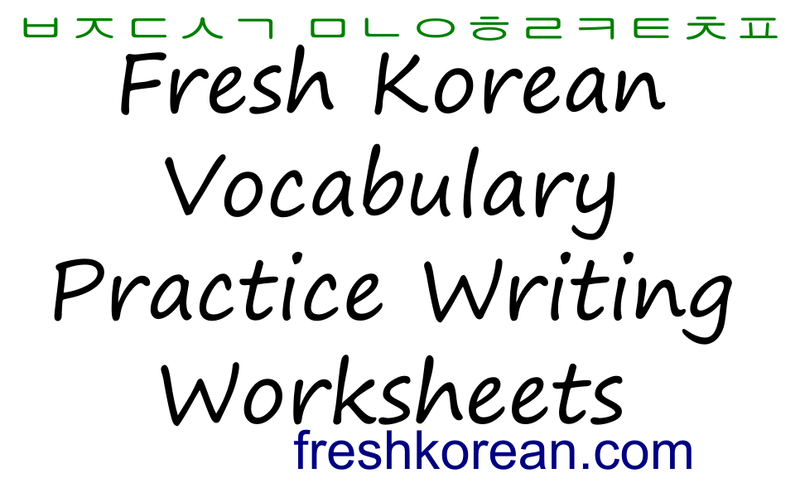 This is part ten of our Combined Vowel Korean Worksheet Series. 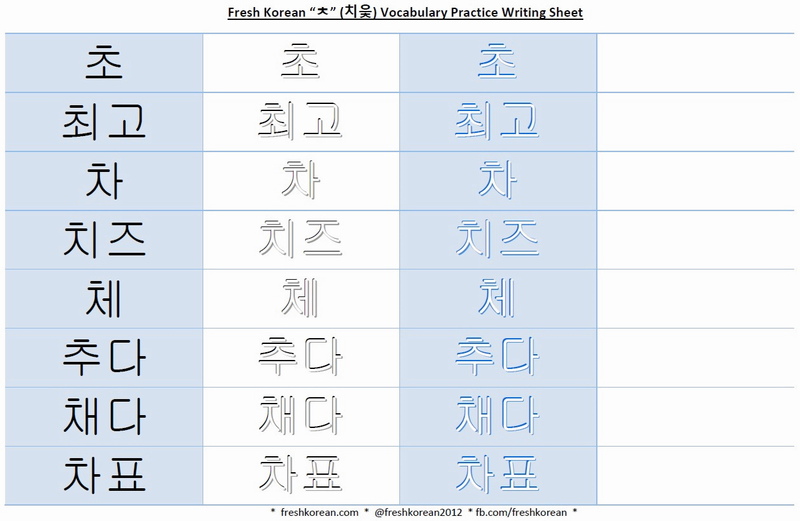 The tenth Korean character we are going to look at is “ㅊ” which has a sound similar to an English “Ch“. 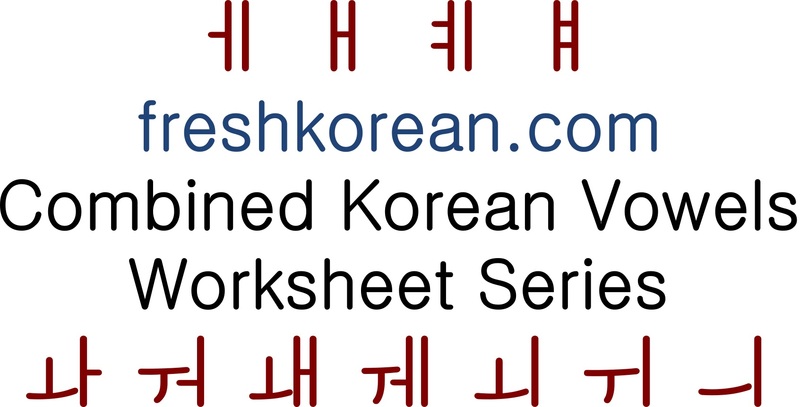 This worksheet includes all the different possible combined vowel combinations related to ㅊ. 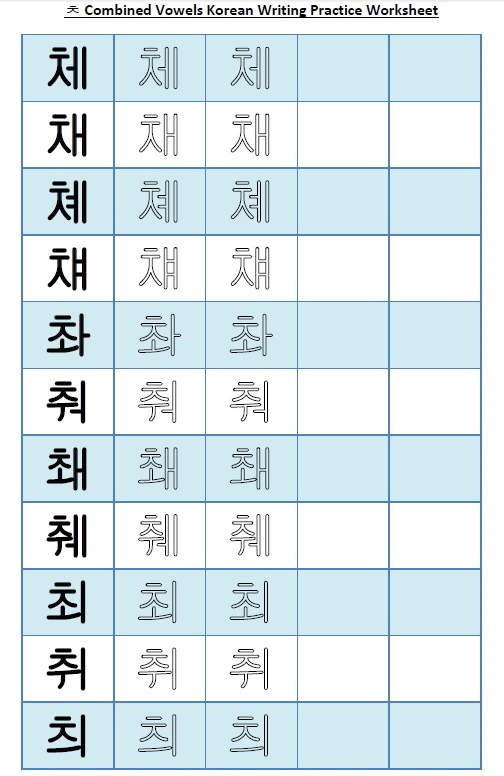 A few example words which include the ㅊ with combined vowels are: 채소 = Chae/So (Vegetables), 최선 = Chwe/Son (Best) and 체리 = Chae/Ree (Cherry – the fruit). To catch up with the previous part 9 please click this link.